Toyota today revealed the highly anticipated all-new Toyota RAV4 EV at the 26th annual Electric Vehicle Symposium in Los Angeles. This all-electric SUV has an expected driving range rating of approximately 100 miles and charging time of approximately six hours on a 240V/40A charger. 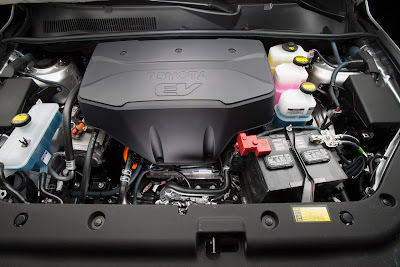 The RAV4 EV's driving performance, dynamics and cargo capacity are equal to or exceed the gas powered RAV4 V6. 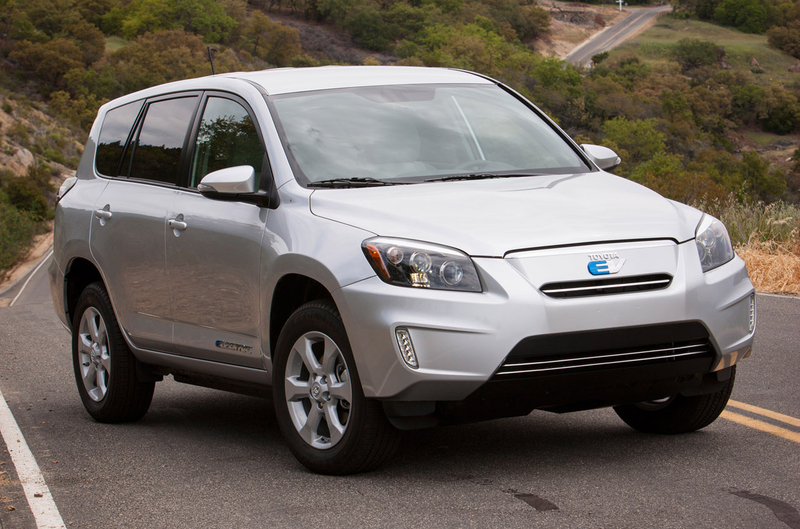 Arriving fully-equipped with an MSRP of $49,800 the RAV4 EV doesn't compromise on performance, comfort or versatility. "It's all about blending the best of two worlds," said Bob Carter, group vice president and general manager of the Toyota division. "The all-new RAV4 EV marries the efficiency of an EV with the versatility of a small SUV – in fact, it is the only all- electric SUV on the market." 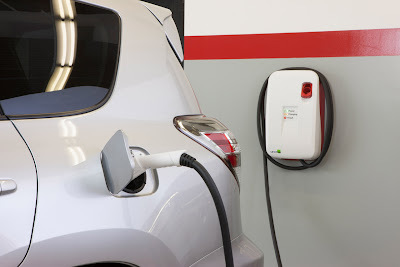 The RAV4 EV is the product of a unique collaboration with Tesla Motors spurred by Akio Toyoda, president and CEO of Toyota Motor Corporation. Twenty-two months after the project announcement, Toyota and Tesla engineers have succeeded in bringing an outstanding product to market in record time. 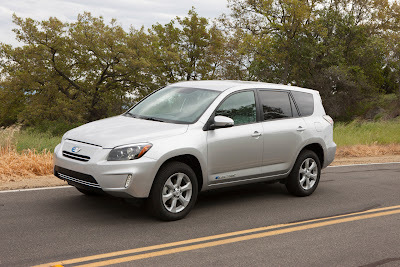 The RAV4 EV combines a Tesla designed and produced battery and electric powertrain with Toyota's most popular SUV model. The collaborative team set its sights on refining the customer experience. 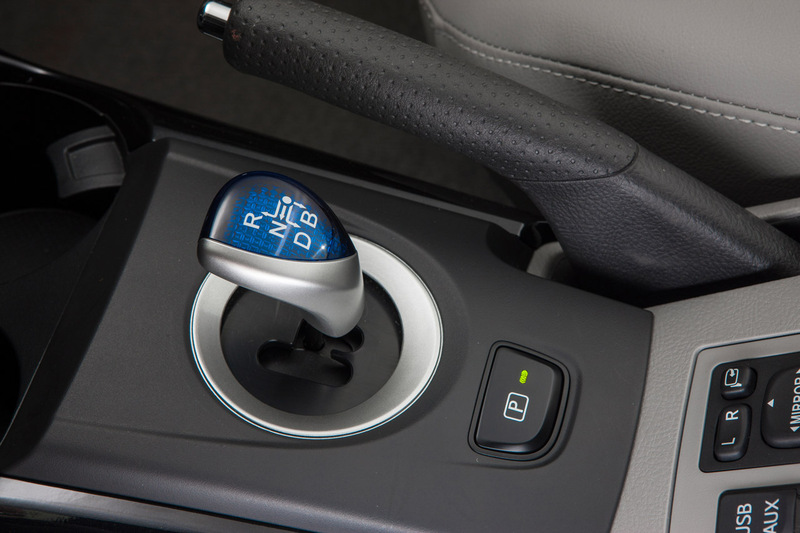 From advanced charging options to interior comfort to interactive displays, the vehicle has been designed for customer ease of use and maximum vehicle range. The front wheel drive RAV4 EV allows drivers to select from two distinctly different drive modes, Sport and Normal. In Sport mode, the vehicle reaches 0-60 mph in just 7.0 seconds and has a maximum speed of 100 mph. Normal mode achieves 0-60 mph in 8.6 seconds with a maximum speed of 85 mph. Maximum output from the electric powertrain is 154 HP (115kW) @ 2,800 rpm. RAV4 EV offers an exceptionally smooth, quiet ride and comfortable handling due in part to its low coefficient of drag and low center of gravity. 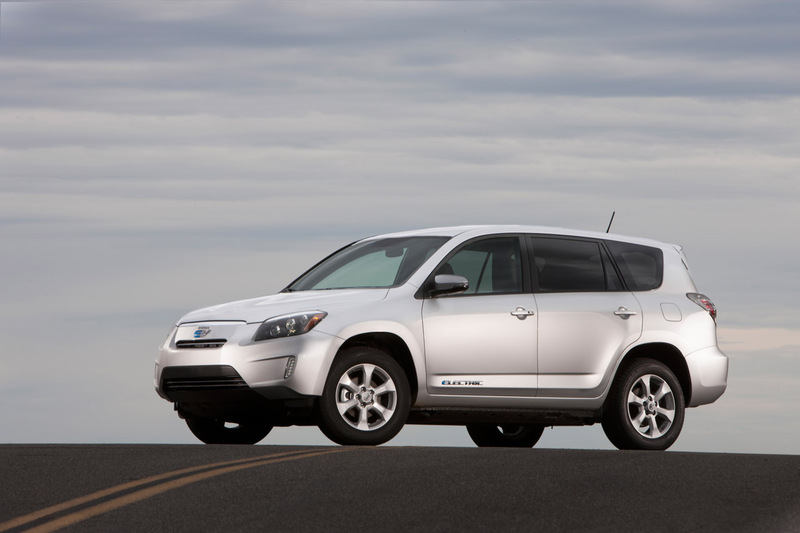 In fact, at 0.30 Cd, RAV4 EV achieves the lowest coefficient of drag of any SUV in the world. Compared with the gas powered RAV4, Toyota re-styled the front bumper, upper and lower grill, side mirrors, rear spoiler, and under body design to maximize air flow around the vehicle. The RAV4 EV's battery pack is mounted low and to the center of the vehicle, contributing to a more sedan-like ride. On the exterior, RAV4 EV features upscale LED low beam projector headlights with halogen projector high beams. A manual leveling system allows customers to redirect the headlights when the vehicle changes significantly in pitch due to a heavy load. Five vertical LEDs make up the daytime running lights, which dim to parking lights. The rear combination lights are LEDs accented by a unique light smoke outer lens. Other exterior variations from the gasoline powered RAV4 include new exterior emblems on the front, rear and the front door panel utilizing the signature Toyota "environmental blue." The vehicle will be available later this year in three exterior colors: Blizzard White Pearl, Shoreline Blue Pearl and Classic Silver Metallic. The interior features a unique "Neutron" fabric, woven with a subtle sheen and blue accent, on the seat inserts and door trim. Inside, a six-way adjustable driver's seat includes variable front seat heaters, which extends heater coverage to the occupant's upper back. The split reclining rear seats with folding center arm rest fold flat for increased cargo space, with a total cargo capacity equivalent to the conventional RAV4 of 73 cu. ft. No interior space is lost in the vehicle due to EV components. 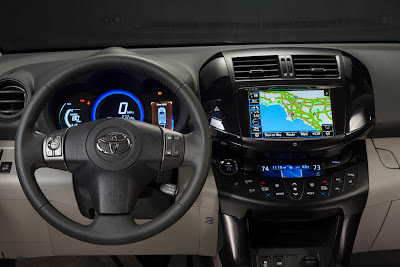 The highlight of the interior is an eight-inch capacitive touch screen with a state of the art graphic display, featuring navigation, telematics, and EV drive information and settings designed specifically for the RAV4 EV. EntuneTM is standard (with three year complimentary access to EntuneTM services) along with SiriusXM Satellite Radio (with 3- month trial subscription to XM Select package), AM/FM radio, Bluetooth® streaming audio, and USB port with iPod® connectivity. 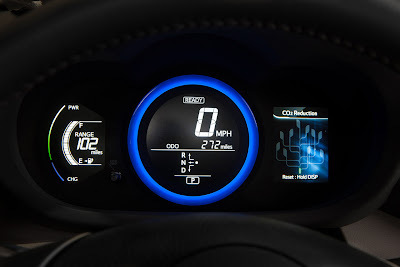 The dash display color illuminates red when the vehicle is operating in sport mode and blue in normal driving mode. Toyota's approved electric vehicle supplier equipment provider is Leviton. Leviton offers multiple options for charging solutions. For the shortest charge time of approximately six hours, Leviton offers a custom 240V (Level 2), 40A, 9.6 kW output charging station. For more information visit Leviton.com/Toyota. The vehicle comes equipped with a 120V (Level 1) emergency charging cable for instances when the recommended 240V (Level 2) charging is not available. The RAV4 EV will go on sale in late summer 2012 through select dealers, initially in four major California metropolitan markets including Sacramento, San Francisco Bay Area, Los Angeles/Orange County and San Diego. Sales volume is planned for approximately 2,600 units over the next three years. The battery warranty is 8 years or 100,000 miles. The most expensive gasoline-powered Toyota Rav4 has a base price of less than $29,000. Toyota sold over 15,000 gasoline-powered Rav4 SUVs last month, or almost six times the number of Rav4 EVs it plans to sell over the next three years. In July 2010, Toyota Motor Corporation and Tesla Motors jointly announced an agreement to develop an all-electric version of the RAV4, with the intent to bring the vehicle to market in 2012. Tesla contributed its EV technology expertise, daring spirit, quick decision making and flexibility. Toyota contributed design, engineering, manufacturing and production expertise. 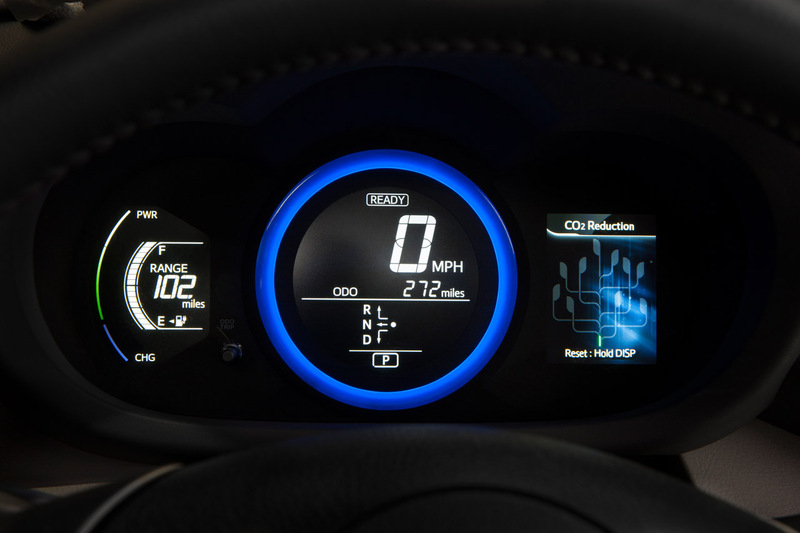 In an industry where development cycles are typically five years, Toyota and Tesla brought a dynamic product to market in less than half that time.